ARPR remains one of very few PR agencies in the world with a practice group entirely dedicated to the ins and outs of cybersecurity. 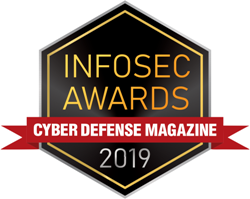 ARPR, an award-winning tech PR agency at the epicenter of the future of PR, today announced that it has been honored by Cyber Defense Magazine as the Best PR Agency for InfoSec Companies. This award marks the second consecutive year that ARPR has been recognized by the premier source of IT Security information, having been named the Most Innovative PR Firm for Cybersecurity in 2018. The firm also revealed today that its cybersecurity practice group grew by more than 183 percent year-over-year in 2018, driven by client renewals, new business and widespread adoption of the agency’s digital, content marketing and social media services. IRONSCALES - Entering into its fourth year of partnership with ARPR, IRONSCALES is a leader in advanced phishing threat protection technology. Coronet - Entering into its second year of partnership with ARPR, Coronet provides data breach protection technology for small and mid-sized businesses that use the cloud. Both companies originally chose to partner with ARPR because of the agency’s understanding of the cybersecurity ecosystem, the verticals they sell into, and the journalists they seek to regularly engage with. Today, the clients take advantage of ARPR’s Panorama Approach, which tightly integrates traditional public relations, social media, content marketing and lead generation to drive measurable results. Cybersecurity companies in need of a long-term marketing and PR partner with industry chops need to ask agencies the right questions during the pitch process. Download ARPR’s whitepaper entitled Rethinking the RFP Process: How to Select a Tech PR Partner to Push the Limits before starting your agency search. ARPR is an award-winning tech PR agency at the epicenter of the future of PR. Headquartered in Atlanta, ARPR helps its clients’ reputations thrive and their sales pipelines prosper through highly-integrated marketing strategies that push the limits of what a public relations firm can achieve. Since 2012, ARPR has twice been named Small Agency of the Year, dubbed a Best Place to Work six times, was honored as the 2016 Technology Agency of the Year and the 2018 Agency that Gets Results. For more information on ARPR clients and services, visit http://www.arpr.com and follow @AR_ _PR on Twitter and Instagram.